So what was the relationship between Alexei Bakhrushin, the founder of the Theatre Museum, and Alexander Golovin like? How did Golovin's works find their way to the museum? What is the significance of this collection? To answer all these questions, we have to note that many state and private collectors were competing to acquire Golovin's works; we also have to trace the fate of Golovin's paintings and collections, and give an overview of this kind of collecting. Many well-known collectors were interested in Golovin's work and were, in this regard, Bakhrushin's "competitors" before 1917, among them, Ivan Morozov, Savva Mamontov, Mikhail Ryabushinsky, Savva Morozov, Anna Botkina, B. Berg, Margarita Morozova, Sergei Shcherbatov, Vladimir Girshman, Vladimir Telyakovsky, Levkiy Zheverzheev, and others. Alexei Bakhrushin's brother Sergei, a passionate theatre enthusiast and as passionate an art collector, knew Golovin well, and may have even been on friendly terms with him. The portrait of Sergei Bakhrushin (1916), inherited by his nephew Yury, was transferred to the Tula Fine Art Museum after the revolution by the State Art Fund. After Sergei Bakhrushin's death in 1922 the bulk of his collection was transferred to the Tretyakov Gallery, including the portrait of Maria Kuznetsova-Benois as Carmen (1920). Absolutely everyone was talking about Alexander Golovin after the premiere of Rimsky-Korsakov's opera "The Maid of Pskov" at the Bolshoi Theatre in 1901. 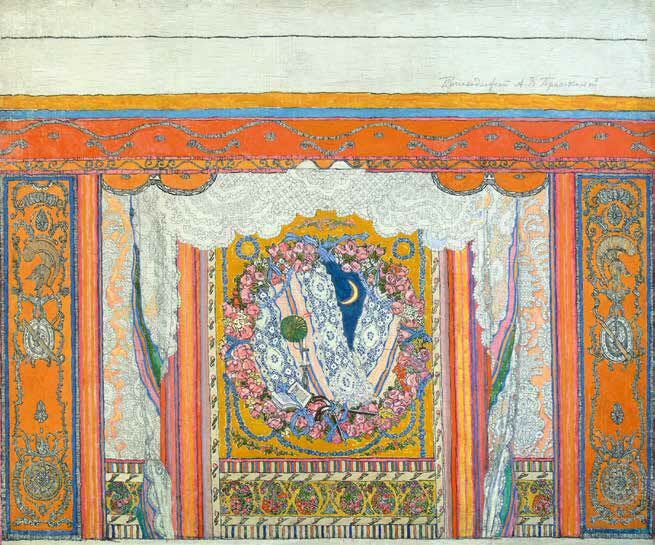 Bakhrushin was not among the first collectors to acquire the artist's work for this opera; he did, however, feel that it was necessary to "illustrate" the production to preserve the history of Russian theatre, and agreed to purchase copies. 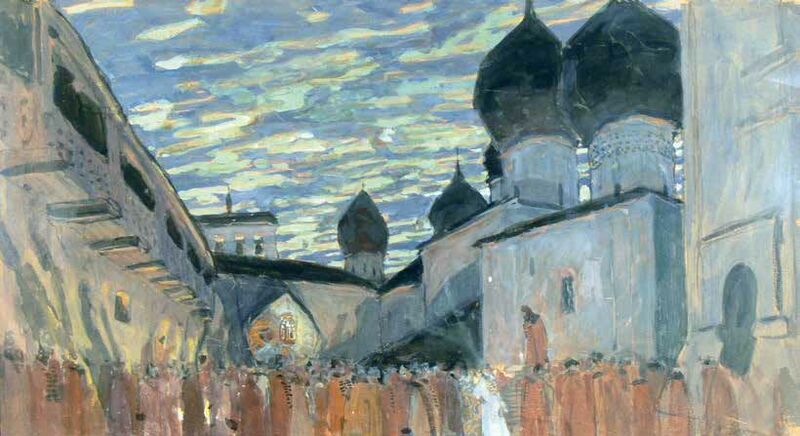 We learn from their correspondence in 19032 that Bakhrushin commissioned Golovin to make a copy of his sketch "A Square with Churches", which the artist did; the original sketch came to the Tretyakov Gallery in 1910 from Savva Morozov's collection. Over time, all the collections were transformed: three sketches for set designs for the production of Gluck's "Orpheus and Eurydice" went from Ivan Morozov to Bakhrushin's museum - to make sure he did not miss his chance to secure these valuable works, Bakhrushin was prepared to purchase them before the premiere. A Moscow merchant, Alexei Bakhrushin established his private Theatre Museum in 1894, and began collecting portraits of actors and other theatre professionals, letters, documents, books, playbills and other theatre mementos, such as ballet shoes and opera-glasses. An accidental collector, he became a true and dedicated enthusiast, and acquired numerous objects for his museum, not all of them valuable. After all, there was no precedent - his was a unique undertaking. Later in life Bakhrushin would tell his son: "I began collecting when I was still a bachelor, and soon people knew about it; one day an artist came to see me and offered to sell some of his works. I asked what his name was; he said it was Vrubel. Those were works for the theatre, some sketches; the fool that I was, I did not buy that kind of art, and had no understanding of it whatsoever. I said no, 'You know, this does not interest me. '"3 However, over time paintings and drawings became a much larger part of the collection and included works by many great masters of the visual arts. 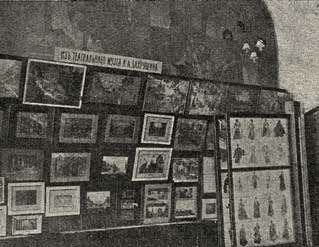 As early as 1907, a St. Petersburg newspaper wrote about Bakhrushin's museum: "A whole wall is covered with set design drawings by Vrubel, Apollinary Vasnetsov, Konstantin Korovin, and Golovin. "4 Further records refer to a merchant who collected set design drawings for theatre productions, and bought them from exhibitions and directly from artists' studios. Only a few written sources that could illuminate the collector's relationship with Golovin survived after Bakhrushin's death; those include some letters, several newspaper clippings and official documents. Currently the A.A. Bakhrushin Theatre Museum in Moscow houses more than 1,100 works by Alexander Golovin in its Department of Theatre Set Design in Visual Arts; this is a diverse collection, which includes formal portraits of theatre actors, pencil sketches, details of set design models made of cardboard, colourful costume designs, and large-scale painted studies for set decorations. The Department of Archives and Manuscripts houses Alexander Golovin's archives, which contain more than 250 items. In 1909 Bakhrushin began the four-year process of handing over his precious collection to the Academy of Sciences and laying the foundation for the public museum in Moscow. This saved his collection after the October Revolution and allowed him to add to it when his personal funds were depleted. During negotiations in 1911 Bakhrushin continued to acquire Golovin's works: "The ballet dancer Yelena Smirnova has been immortalized - Golovin painted her portrait, which ended up at the museum, since Alexei Bakhrushin bought it for that purpose... By the way, all Golovin's work for the production of Yury Belyaev's 'Red Tavern' in St. Petersburg, including all set and costume designs, were just purchased by the same museum-owner. "9 Conscious of how important Golovin was as an artist, Bakhrushin apparently wanted to buy the works straight from the artist's studio (the production did not premiere until the following year). He wanted to buy them, but for some reason did not do so, even though the newspaper (see above) had already reported it. There are records showing that this acquisition was only discussed in 1914 at a meeting of the museum's board, which made the decision to purchase the studies, five costume designs and one set design. By 1915 they were in the museum's collection. As for the set designs for the production of Mikhail Lermontov's drama "Masquerade", this cornerstone of the artist's oeuvre, their fate was even more mysterious - until they found their way into the collection of the Moscow Theatre Museum. To quote the same hasty "Petersburg Gazette", "Rumour has it that the artist Golovin has already sold his studies for set designs for Lermontov's 'Masquerade' to Mr. Bakhrushin's museum. Those who saw the costumes report that they are quite remarkable. Some of them are based on playing cards. "10 Nevertheless, the famous studies for the production, which premiered in 1917, did not reach the museum in 1920. One could believe the rumours we were talking about - a preliminary agreement may have been reached, but wars, revolutions, constant communications through third parties and through correspondence, the question of money - all these things may have given rise to an uncertain situation, which we can only begin to understand through written records of the 1920s. Golovin's letter to Bakhrushin of August 10 192011 makes it clear that the artist did not know where his works were at that moment; neither did the collector. 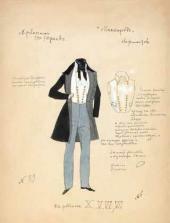 These are the numbers that Golovin refers to: ten studies for set designs, five drawings of curtains, and more than 600 drawings of costumes and props.12 Minutes of the meetings of the Board and the Museum Trustees Council tell us that in 1920 the studies were discovered at the Museum of the Proletariat on Pyatnitskaya street. How did they end up there, if they were intended for the Theatre Museum? It is not clear; we do know that the meeting made the decision to appeal to the Department of Museums to transfer the items from the Museum of the Proletariat.13 On March 31 1921 it was announced that "13 studies of set designs, 169 studies of costumes and 77 studies of props"14 were received. The records go on to mention appraising the studies for purchase. It was done on November 2 1921 by the "Vserabis"15 (All-Russian Professional Union of Art Workers). Currently, the Theatre Museum's collection has 259 studies that Golovin created for the production of "Masquerade", purchased by Bakhrushin. This is a lower number than the one mentioned by the artist, but it is the bulk of it, the most important part, abundant and complete. 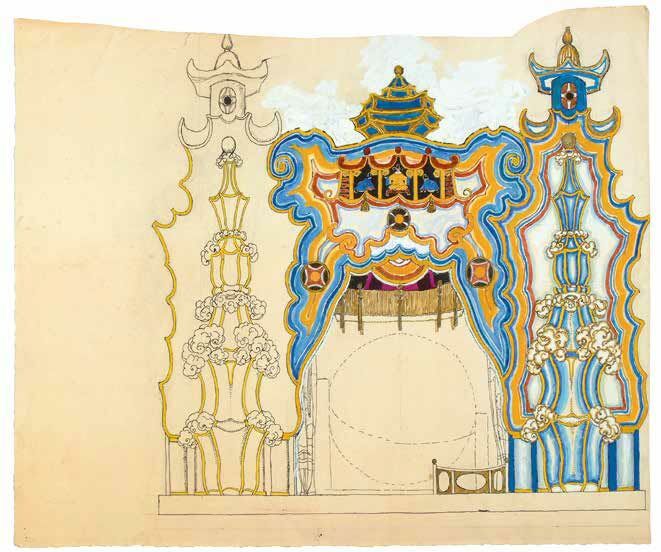 His set and costume designs for "Masquerade" marked the pinnacle of Golovin's career: the Theatre Museum's collection gives us a chance to appreciate the studies for what back then theatre audiences could see on stage - the harmony of set design, props and costumes, with all their decorativeness and complexity. Golovin spent more than three years working on this production; he contemplated all the studies in their full detail, he demanded that costumes were all custom-made and all props were made to order, not just selected. He was - or tried to be - an "all-in-one" artist for each production that he worked on. His demands were not always fulfilled - hence his note on the study for Arbenin's costume: "The cut of the vest and frock has to be followed as close as possible, please, I ask you to kindly make note of this; indeed, everything is being made approximately, so I beg you to at least supply the leading actors with costumes that are cut just right - I draw these precisely as they have to be, and for what purpose, I do not know. A.G."
Bakhrushin, who remained the museum's director for life, did not only follow Golovin's career as a theatre designer, but also continued to purchase the artist's works for the museum. Many of those acquisitions were sporadic but nevertheless important, such as the study for Leo Tolstoy's play "Petr Khlebnik", four studies for set designs for Gluck's opera "Orpheus and Eurydice", eight studies for Mussorgsky's opera "Boris Godunov", three for Ibsen's "The Lady from the Sea", and one for Sophocles' tragedy "Antigone". Bakhrushin acquired Golovin's portrait of Mikhail Kuzmin in 1910, soon after it was painted; it is currently in the collection of the Tretyakov Gallery. There is an interesting document in the A.A. Bakhrushin Fund - a letter from the"Monson & Co." trading house with the following inquiry: "Would you consider selling your paintings by the artist Golovin, 'Ghosts' and 'Electra', which have been in Sweden since the exhibition in Malmo? If yes, please let us know what your best prices would be. "17 Evidently, the letter refers to Golovin's set designs for productions at the Alexandrinsky Theatre that are still a mystery to specialists.18 Some of Golovin's lesser-known works (dated c. 1907 and 1912, respectively) were apparently shown at the 1914 Baltic Exhibition in Malmo, Sweden. Nothing is known about the acquisition of "Electra", but a certain study titled "Ghosts" is listed with other Golovin's works of the year 1913 as Bakhrushin's property. Bakhrushin's answer to the letter from "Monson & Co." is lost; however, considering his commitment to the integrity of the museum's collection, it seems highly unlikely that he would have agreed to sell the study. In 1925 the architect and art historian Ilya Bondarenko19 informed Bakhrushin that the collection of the architect Konstantin Telyakovsky was on the market - it included Golovin's studies for the productions of "Don Quixote", "Ruslan and Lyudmila", and "Mephistopheles", as well as studies by other famous artists; the asking price for those was very low, something like six rubles per drawing. 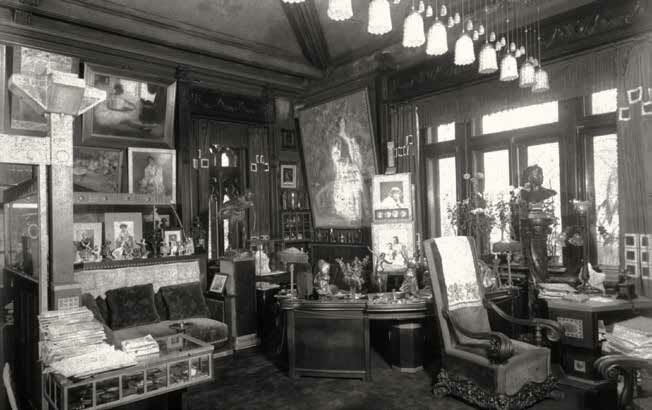 At the time, museums did not have any funds available to them, but evidently, Bakhrushin managed to buy some things from this collection for his museum. The Theatre Museum has in its possession some set designs for the first two of the above-mentioned productions, as well as the spectacular portrait of Feodor Chaliapin as Mephistopheles by Golovin (which currently graces the grand entrance hall in the museum's main building). The Theatre Museum also houses drawings for the unrealized production of Tchaikovsky's opera "Eugene Onegin" - at some point, the Tretyakov Gallery's director, the architect Alexei Shchusev, coveted them. There are two letters from the Tretyakov Gallery to the artist in the Golovin archive of the Russian State Archive of Literature and Art. To quote them, "8.7.1927... Having received information... that you are working on set design for the production of the opera 'Eugene Onegin', the Board of the Tretyakov Gallery requests that you look at these studies as essential for the gallery's collection; for this reason [the Board] asks that you inform the gallery regarding the possibility of acquiring them when you no longer need them for the production"; "January 25 1928... Dear Alexander Yakovlevich! In summer 1927, while visiting you, I asked you to hold your studies for 'Eugene Onegin' for the Tretyakov Gallery; by then, you had already finished the curtain design and were just beginning to work on the rest. I would like to remind you of that visit of mine and ask you to let me know if and when the gallery may see your studies... A. Shchusev. "20 Currently, the study for the curtain, as well as several studies for the "Eugene Onegin" set design (including some unfinished ones), is the property of the Theatre Museum. 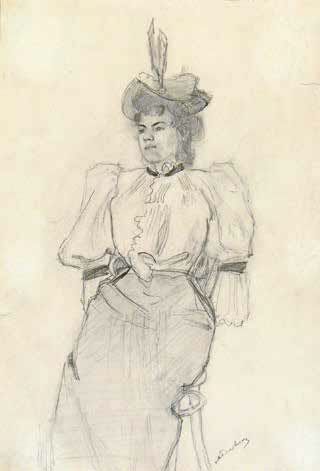 After the collector's death in 1929, the museum would occasionally receive drawings from various individuals (theatre directors who had worked with Golovin, relatives of actors whose portraits the artist had painted or drawn, private collectors, and others), or from certain organizations, such as the Russian Visual Arts Centre, the Arts Fund, and the Ministry of Culture of the Russian Federation. 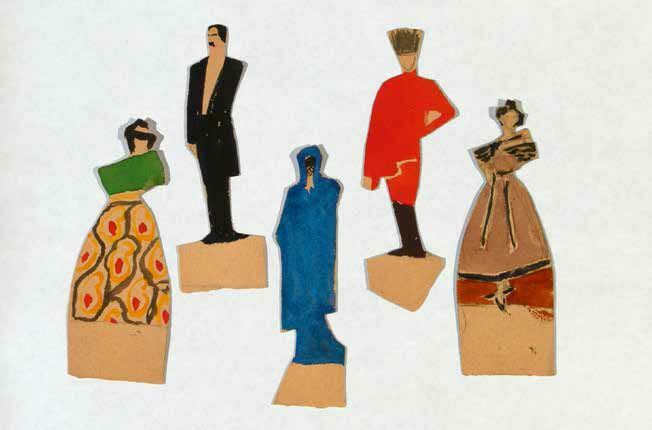 The Leningrad Expert Commission gave the museum 277 sketches, details of cardboard set models for various productions, portraits and studies made in 1937 (these materials were associated with Golovin's work for the Odessa Theatre, from a time in his career that has not been very well researched). The collections of Levkiy Zheverzheev (St. Petersburg) and Grigory Levitin (Leningrad) ended up in both the St. Petersburg and Moscow Theatre Museums. Golovin, who was quite pedantic, left an archive, which his widow Anna Golovina and daughter (from his first marriage) Yelena Rotko divided between the Theatre Museum and the Museum of Literature (later the documents from the latter ended up in the Russian State Archive of Literature and Art.) Now the Theatre Museum houses both a magazine article on Golovin's artistic method21 and documents that, along with the artist's finished studies, allow us to follow his method. Each project began with studying the staging of the production, the lists of characters and actors playing them, each of the play's acts, in order to understand the author's vision. After that, the artist became a historian who researched the culture of the era, as well as the written material and artistic sources he would have to work with. There are notes, excerpts and fabric samples. Not a single historical document was incorporated "as found" into Golovin's art - everything was transformed by his creative genius. An outside observer can hardly make sense of the artist's first sketches of set designs; soon, however, things begin to take shape. The historical disappears, giving way to the impression, the image. Set designs emerge. With the help of Mikhail Zandin and Boris Almedingen, the artists who worked with him on his productions, Golovin painted his canvases for the sets and created props. For him, this did not mean painting larger copies of his studies - it was a separate creative endeavour. When he painted the sets himself, he would make changes, since the scale altered his artistic vision. 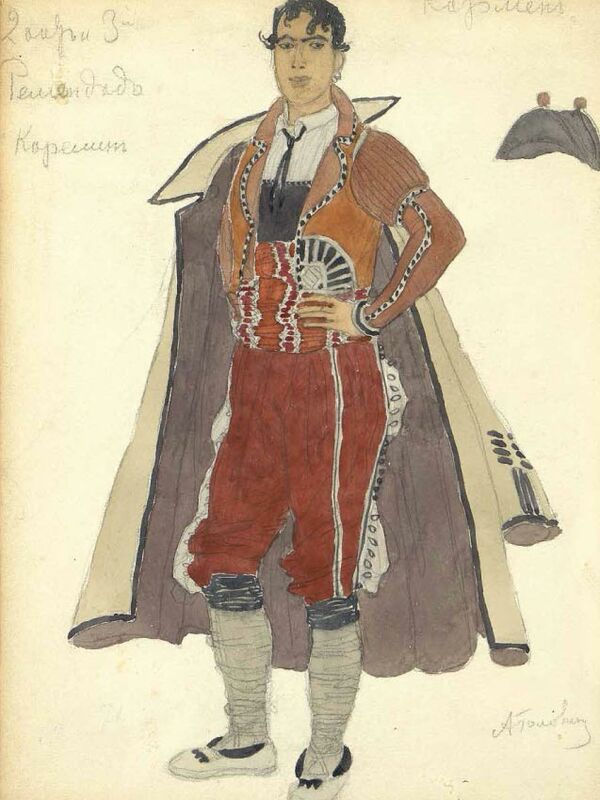 Golovin's costumes and set designs were in tune with the music, the words and actions on the stage; all these components of the production intensified each other. The Theatre Museum's collection of Golovin's studies and document archives shows how his career as a theatre designer developed, from his early works through to his later masterpieces. The collection includes all sorts of productions: the well-documented ones, the later ones, as well as those that never reached the stage. Sometimes, these are just sketches that are not associated with any particular production, and studies of playbills, cover images, and theatre curtains. The diversity of Golovin’s oeuvre shows us the artist’s work in progress, from a list and a sketch to a finished design, from a detail to a finished image. Alexei Bakhrushin formally handed the Theatre and Literature Museum over to the state in 1913. A. Golovin to A. Bakhrushin, letters of September 10 1903 and October 12 1903. Theatre Museum, F. 1, inventory list 1, items 661, 662. Yury Bakhrushin. "Memoirs" Moscow. 1994. P. 168. A. Golovin to A. Bakhrushin, letter of August 10 1920. Theatre Museum, F. 1, inventory list 1, item 663. N. Shebuev. 'On Dead Ends and Mansions' //"Early Morning". No. 315. December 3, 1909. Theatre Museum, F. 1, inventory list 1, item 5011. Album of newspaper clippings, p. 40. N. Shebuev. "Theatre Review". No. 156. March 11 1908, p. 3. Item 168; N. Georgievich. 'Poems of Cloths' //"The Petersburg Gazette". Theatre Museum, F. 70, inventory list 1, item 158. 'Theatre Exhibition' //"Rul'" (Steering wheel). No. 160. March 2 1909. Theatre Museum, F. 1, inventory list 1, item 5011. Album of newspaper clippings, p. 41. "The Petersburg Gazette". No. 109. April 23 1911. Theatre Museum, F. 1, inventory list 1, item 5011. Album of newspaper clippings, p. 63. "The Petersburg Gazette". No. 345. December 16 1913. Theatre Museum, F. 1, inventory list 1, item 5011. 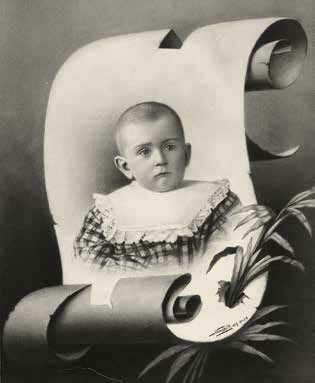 Album of newspaper clippings, p. 95. Protocols of meeting by the Board and Trustees Council of the Museum. 1920-1921. Theatre Museum, F. 1, inventory list 3, item 286, sheet 9. Russian abbreviation for All-Russian Union of Art Professionals. A. Golovin to A. Bakhrushin, letter of March 30 1922. Theatre Museum, F. 1, inventory list 1, item 664. 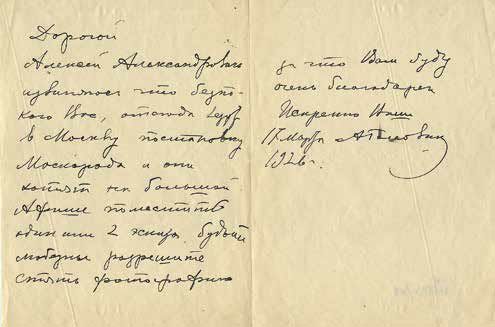 Letter to A. Bakhrushin of March 30 1922. Theatre Museum, F. 1, inventory list 1, item 1825. M. Pozharskaya. "Alexander Golovin. An Artist's Journey." Artist and His Time. Moscow, 1990. P. 29. I. Bondarenko to A. Bakhrushin, letter of November 2 1925. Theatre Museum, F. 1, inventory list 1, item 265. Russian State Archive of Literature and Art. F. 739, inventory list 1, item 29. 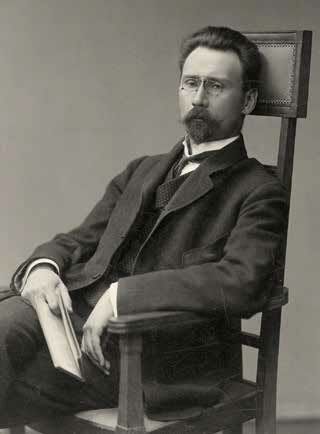 Boris Almedingen. "How Alexander Yakovlevich Golovin Worked on 'Masquerade'". Theatre Museum, F. 1, inventory list 1, item 3. Letter of Alexander Golovin to Alexei Bakhrushin. March 17 1926.